Ceen has done extensive research on the maps of Rome with particular reference to the 1748 Giambattista Nolli map of the city. 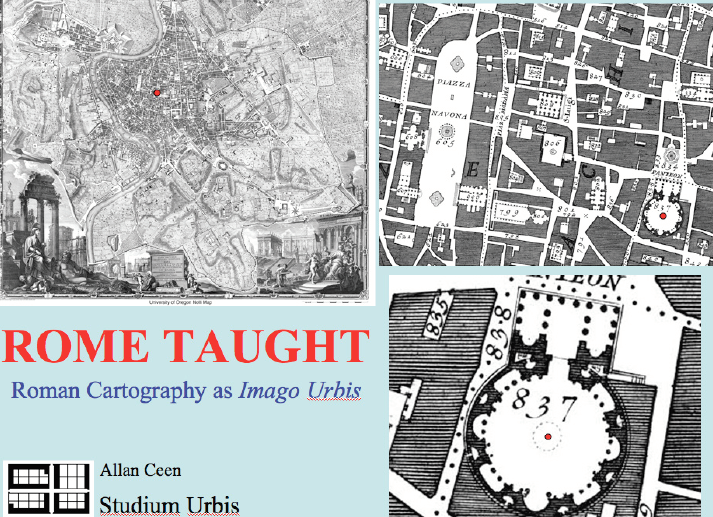 He teaches the history of the city by displaying the important information recorded in its many historical maps, which go back to the second century. Students are given a particular perspective on the urban morphology of the most historical continuously occupied city of western culture. In addition to having students “walk the line” of key street spaces, Ceen aslo challenges his students to develop their own mapping criteria and techniques, some of which will be discussed in the presentation.